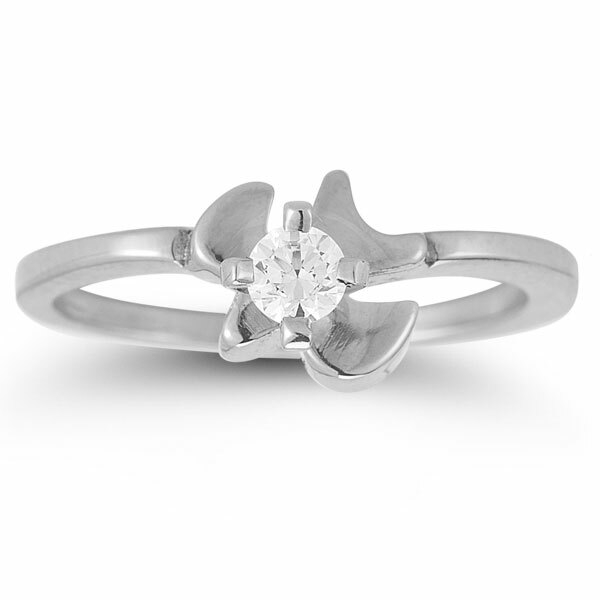 The wings of a dove transform this bridal ring set into a truly spirited work of art. The Holy Spirit Dove Diamond Bridal Ring Set helps any bride honor her faith with a beautiful pair of rings. The set features a solitaire white diamond, measuring .4 carats for just the right amount of shimmer. 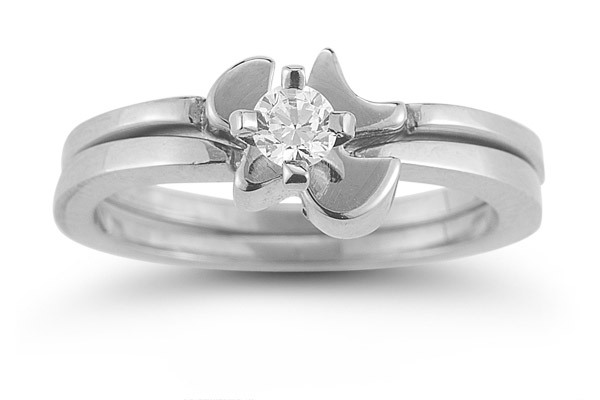 Set inside the dove's wings, the diamond sparkles and complements the 14K white gold bird. 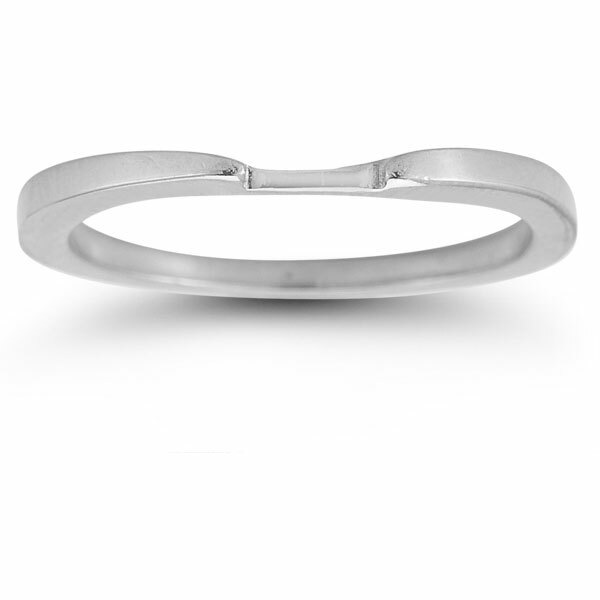 The bands also feature clean and classy 14K white gold. Apples of Gold Jewelry guarantees the Holy Spirit Dove Diamond Bridal Ring Set in 14K White Gold to be of high quality and an authentic engagement ring with real diamonds, as described above.